Pilatus is an aircraft manufacturer located in Stans, Switzerland. 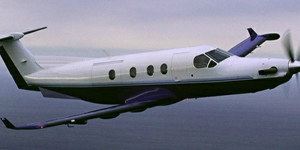 They mostly produce aircraft for niche markets, in particular STOL and military training aircraft. That is until the 1990s, with the introduction of the PC-12, a 9 passenger single-engine turboprop, and the best-selling pressurized single-engine turbine-powered aircraft in the world for several consecutive years, with 1,500 deliveries as of June 2017. After the company successfully opened itself up to the civilian aircraft market, Pilatus now offers the PC-24, a twin-engine light jet to compete with Embraer’s Phenom and Cessna’s Citation CJ4. Variations of their popular PC-12 model include the PC-12/41 (original); PC-12/45; PC-12/44; avionics and engines were upgraded with PC-12/47E, also known as the PC-12 NG (Next Generation); the PC-12M Spectre (US Paramilitary special missions), and the U-28A (USAF designation).